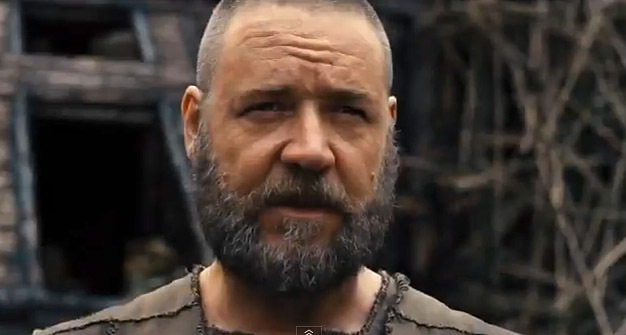 Second teaser trailer for the movie Noah, starring Russell Crowe. A CINEMA in England closed due to flooding on the day the film Noah was due to open there. The first showing of the film at Vue cinema, in Exeter, had to be cancelled when staff discovered the problem just after 7am, Express & Echo reported. The venue had to close to the public until 2pm - meaning the first showing of Noah at 12.15pm had to be cancelled. A spokesman for Vue cinema told Express & Echo: "We can confirm that there was flooding at Vue Exeter on Friday 4th April due to a fault with an ice machine. "We are open for business as usual and are working with engineers to get this issue resolved as quickly as possible." Cinema-goers tweeted the comedy of the situation, with one posting: "#Irony. The day Noah was released Exeter Vue was flooded overnight."